The state's longest-serving senator was known for his fiscal restraint and bipartisan spirit. ALBUQUERQUE, N.M. — Pete V. Domenici, the son of Italian immigrants who rose to become a power broker in the U.S. Senate, died Wednesday in New Mexico. The Republican was known for reaching across the partisan divide and his work on the federal budget and energy policy over a career that spanned more than 30 years. 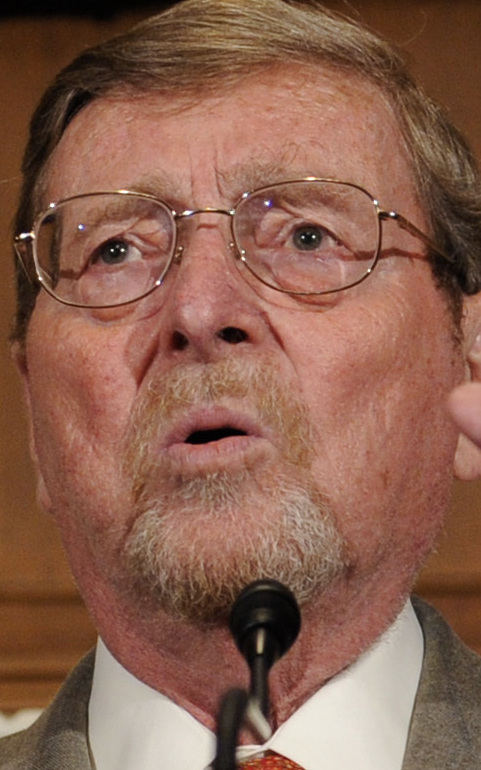 The Albuquerque-born Domenici carried a consistent message of fiscal restraint from his first term in 1972 until leaving office in 2009 – regardless of which party was in power. He even refused once to buckle to President Ronald Reagan. New Mexico’s longest-serving U.S. senator, Domenici was remembered most for his ability to reach across the aisle and for his unflagging support of the state’s military installations and national laboratories. Domenici announced in October 2007 that he wouldn’t seek a seventh term because he had been diagnosed with an incurable brain disorder, frontotemporal lobar degeneration. His decision started a scramble that saw the state’s three congressmen give up their seats to run for the Senate. His successor was Democratic Rep. Tom Udall, the son of Stewart Udall, a former Arizona congressman and Interior secretary.